It was a battle for second place in the standings as the New Westminster Salmonbellies came into the Q Centre Saturday to take on the Jr. ‘A’ Shamrocks and it was captain Brad McCulley’s 5-goal performance propelling the home team to a tight 10-8 victory. 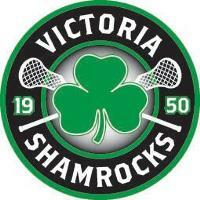 Starting in goal for the Shamrocks was Cam Dunkerley while Erik Kratz got the nod for the visitors. It was New Westmnster getting on the board first, Carter Dickson finding twine from inside the dotted line at 2:07. At 3:40 Victoria got that one back, Brian Robb diving across in front to tie the score. The ‘Bellies regained the lead at 8:25, Gavin Bruce III faking high and shooting low in close. The lead grew to a pair with Emmett Donahoe’s tally at 13:47 but before the period ended, Victoria got within a goal as Jackson Boyd scored on a shot from outside the dotted line at 16:07. Shots on goal favoured the Salmonbellies 19-14 and they had the 3-2 lead heading into the first intermission. Brad McCulley opened the scoring in the middle frame with a hard shot from outside the dotted line just 27 seconds in. The visitors made a power play pay off as Keegan Bell scored at 6:45 with a 5-on-3 man advantage. The Shamrocks managed to kill the rest of the overlapping penalties and tied the score at 9:57, Austin Madronic getting on a run with a delayed penalty about to be called. McCulley added a power play goal to give Victoria the lead at 10:30. Once again New West replied with a power play goal of their own, Dickson picking up his second at 17:04. The teams traded goals once more, McCulley getting his hat trick marker at 17:33, cutting in but the ‘Bellies knotting the score at 6 with Tre Leclaire’s goal at 19:06 from the dotted line. The Shamrocks had the edge in shots on goal in the middle period, by a 21-12 margin and things were even heading for the final 20 minutes. The Salmonbellies got the lead at 6:04 of period 3, Dalton Lupul gathering in a long outlet pass from goaltender Kratz and getting in alone. Marshal King drew the home team even at 7:23,another goal with the manpower advantage. Leclaire’s second of the game gave the visitors an 8-7 lead at 11:55 with a hard, low shot from outside the dotted line. After that, it was all Victoria as Zach Manns picked up his first of the season at 16:18 to tie the score, faking a pass and putting the ball behind Kratz. McCulley added two more to wrap up the win, the first coming at 17:01 with a quick stick on the run and the final goal of the game at 18:45, almost a carbon copy. As noted, Brad McCulley led the attack with 5 goals while Marshal King picked up a goal and 5 helpers. Other goals came from Zach Manns, Brian Robb, Jackson Boyd and Austin Madronic. Zac Homer was masterful in the faceoff circle, winning 14 of 21. Cam Dunkerley stopped 37 of the 45 shots he faced to pick up the win. 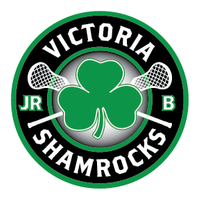 The Rocks are on the road Sunday to face the Delta Islanders and again on Tuesday as they travel to the ‘Stick’ in Duncan to take on the Nanaimo Timbermen in a 7:30 pm start. 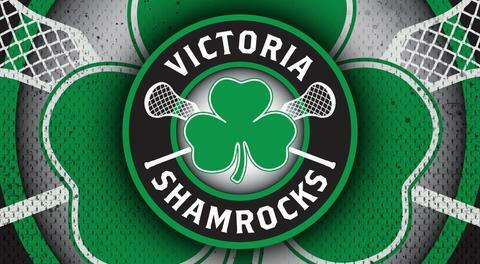 Next home game is in two weeks, Saturday, June 30 when they will host the Langley Thunder at 4:00 pm at the Q Centre. It will also be ‘retro night’ with special retro jerseys honouring past Junior ‘A’ teams. There will be a pre-game tailgate party, 50/50, silent auction and a chance to meet the team post-game.